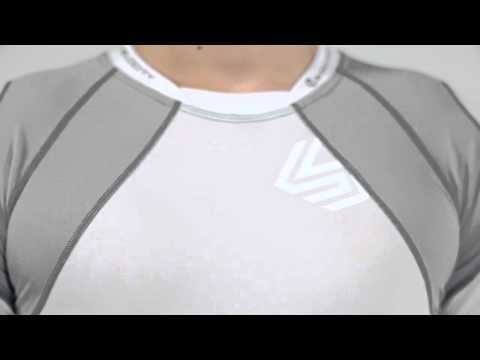 The 575 Velocity Motion 360 Shirt: an ergonomically designed compression shirt striving to provide the ultimate shoulder and torso motion while maintaining compression over the ribs and abdomen. Our X-Fit System integrates wraparound external support for an unparalleled fit that reduces binding while increasing comfort. Designed with four-way stretch fabric, mesh zones have been strategically placed throughout the shirt to maximize airflow as well as performance. 4-way stretch mesh zones maximize breathability in multiple areas to accelerate cooling. Velocity Motion360 Short Sleeve Shirt is rated 5.0 out of 5 by 5. Rated 5 out of 5 by Colt from Best on the market! These shirts are the best on the market, ive been trying different brands since 2004, these have blpwn me away. So comfy and no binding. Long enough to tuck in and perfect for summer! Nike and under armour wish they were this good. Try 1 and youll never go back! Rated 5 out of 5 by WayBiz from Great compression This shirt really serves its purpose. Great compression without bulk or added heat.